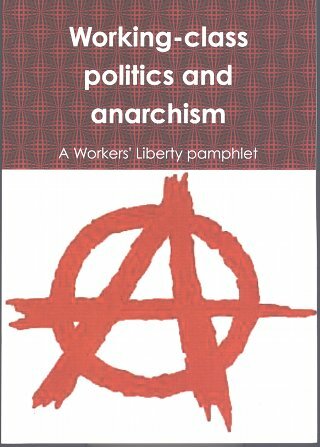 A pamphlet bringing together polemics, debates and exchanges between Workers' Liberty and anarchist comrades. Buy online (£5). Or order from AWL. For single copies, send a cheque for £6.10 (including £1.10 postage), payable to AWL, to AWL, 20E Tower Workshops, Riley Road, London SE1 3DG; or buy online by clicking below. Five copies for £20, ten copies for £36.